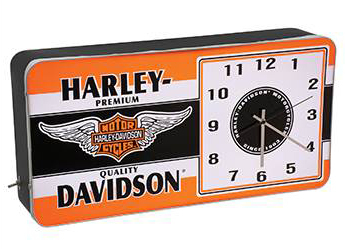 HD™ Winged Bar & Shield LED Ad Clock adds vintage style to your décor. Long lasting LED lights illuminate the vibrant acrylic ad panel and clock. Includes separate on/off light switch and metal housing.